Mt Norquay ski resort is located near the township of Banff, but it’s a long way from being in the same league as the other Banff ski resorts. Norquay is just a wee little ski hill that flies under the radar relative to its neighbours, although this has its benefits. Mt Norquay is very uncrowded, especially relative to the mayhem that can ensue at the other Banff resorts. The lack of crowds adds to the attractiveness of Norquay for families, as does the small size of the resort considering it’s easy to navigate and keep track of the family. Norquay also has a tubing hill, a great ski school, and inexpensive child care. Many think of Mt Norquay as the ugly duckling of the Banff ski resorts, but don’t let that deter you from checking it out. Norquay (pronounced Nork-way, not Norkee) is worth visiting for a day or two, so long as you keep your expectations in check. If you’re not there for the family friendliness, think of it as a lovely peaceful place to warm up the legs. And Norquay is definitely not ugly! The views from the top of the ski resort are beautiful! The proximity of Mt Norquay Ski Resort to the Banff township is a major pro. Banff Norquay is ideal for beginners, and there are also good fall-line groomers for intermediates. It’s generally very uncrowded and even on the weekends, if it wasn’t for the ski racers, the place would be deserted. The lack of lift lines combined with three reasonably fast quad chair lifts, means you can rack up lots of vertical quickly on the groomers. 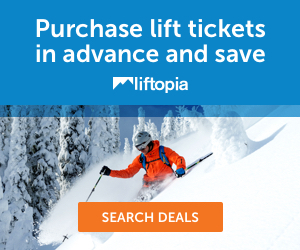 Lift tickets, lessons and childcare are rather affordable. Norquay can be a better alternative to Sunshine and Lake Louise when the weather is foul. Mt Norquay doesn’t receive a lot of natural snowfall. It’s indicative that when 85% of the terrain has snowmaking capacity, that Mother Nature isn’t so good at doing her job. The terrain size is very small. There is no on-mountain accommodation at Norquay. Norquay Banff has just 5 lifts, of which only one is a high speed quad. The Mt Norquay Ski Resort has 503 metres of vertical and just 28 trails spread across 190 acres (77 hectares) of terrain. To put things in perspective, this is less than 5% of the terrain size of Lake Louise Ski Resort and just over 5% of the Sunshine Ski Resort size. It’s tiny! And the terrain size shrinks further when some of the black runs are closed due to inadequate snow or avalanche risk. The Mount Norquay skiing includes terrain for all ability levels, although it’s best suited to first timers, confident beginners and intermediates. Whilst 44 percent of the trails are rated as black or double black, most advanced and expert riders would be a little bored by mid morning. Ski Norquay for below treeline terrain that includes a smidgeon of tree skiing and a handful of egg carton shaped runs, whilst the highlight of Mt Norquay is the groomed runs. There is also a small terrain park. On bad weather days, the Norquay ski terrain provides substantial protection, especially relative to Lake Louise and Sunshine Village. Norquay is not blessed with plentiful snowfall, with only 3 metres (120 inches) on average per season. Snowmaking is used to make up for the lack of natural snowfall, and in part due to reasonably low elevation, Mount Norquay has a reputation for having icy slopes that are perfect for race training! Norquay is the ski hill most local to the township of Banff Canada, and is only a 10 minute drive away. Mt Norquay is only 6km (4 miles) from Banff and 120km from Calgary along the Trans Canada Highway 1. If you don’t have a car, you can get to the ski hill via shuttle buses from various Banff hotels. There’s no on-mountain accommodation at Norquay so you don’t get to enjoy the convenience of ski-in ski-out, however there are plenty of Banff lodging options nearby. Or further afield there are Lake Louise accommodations. The facilities at Mt Norquay ski resort are not extensive, but adequate for day trippers. The amenities are mostly contained within the Cascade Day Lodge which includes a cafeteria and a pub that affords lovely views of the slopes and surrounding mountains. Other facilities include ski and snowboard rentals, ski and snowboard school, child care, and a small retail shop. Norquay has a tubing park that’s very close to the day lodge, and there are some snowshoeing trails nearby.